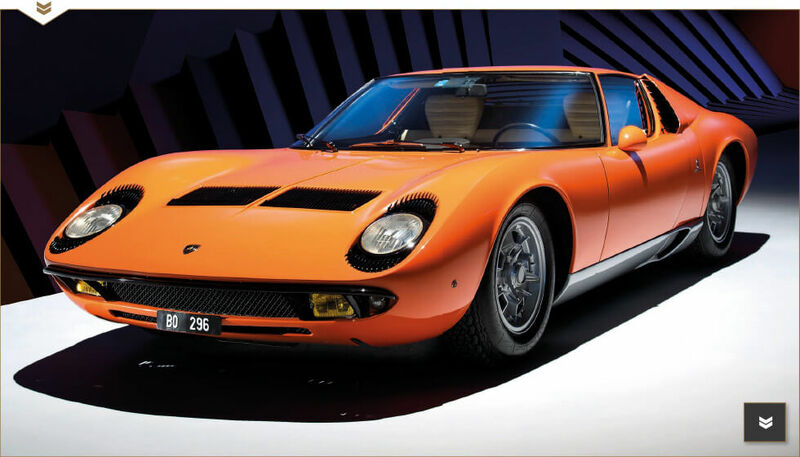 Octane Magazine | Iconic Italian Job Lamborghini revealed! Read the article and get your FREE ISSUE here! t's one of the most evocative openings to a movie ever made. A bright orange Lamborghini spears across an elegant viaduct in the Italian Alps. We see its driver - a typically dapper silver fox, wearing sunglasses and smoking a cigarette - deftly hurling it around the mountain hairpins, to the soundtrack of Matt Monro crooning On Days Like These. 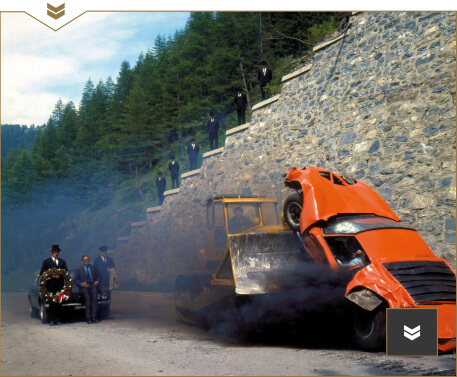 The car roars into a tunnel… and then there's a horrendous crash, which, we soon discover, is because the Ma?a have hidden a huge bulldozer inside the tunnel. As the crumpled, smoking remains of the Lamborghini are pushed down the mountainside, a Ma?oso throws a wreath after it, with bitter irony. The sequence is familiar to tens of millions of Britons, and millions more across the globe, after countless Christmas-time and holiday repeats on television since The Italian Job was released in 1969. Many people adore the ?lm; some are less enthusiastic; a few ?nd it excruciating. Certainly it's hard to think of another movie with a cast list so off-the-wall that it ranges from Noel Coward to Benny Hill via Michael Caine. Love it or loathe it, you can't forget that opening scene. 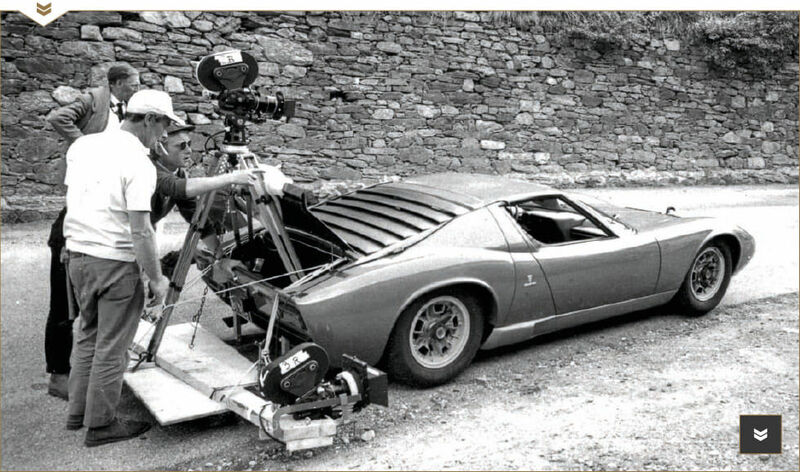 The idea of smashing up one of the most beautiful cars ever made will cause Octane readers physical pain - and the Miura was very much the ultimate supercar when The Italian Job was ?lmed during the summer of 1968. Amazingly, though, the actual car being driven in that sequence has never been identi?ed. Until now. 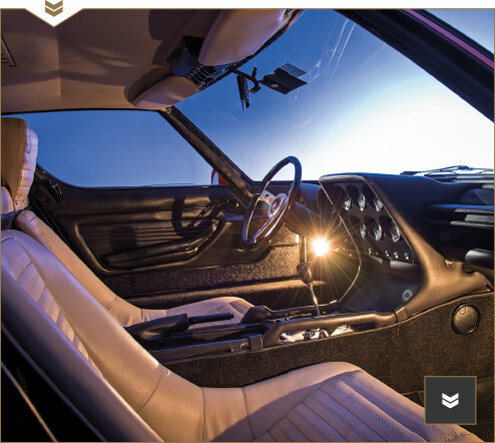 IAIN TYRRELL, proprietor of Cheshire Classic Cars and a Lamborghini specialist for some 30 years, acquired what he believes is The Italian Job Miura in 2014. 'A friend of mine, Keith Ashworth, and I bought the car as a joint project. We had a very limited window of opportunity, and the process was all very James Bond-ish: I was escorted down to a secret underground car park in Paris to view it. Although we bought the car in France, it has been in Italy for almost all its life, and I'm convinced that the 19,000km recorded on the odometer are genuine,' Iain continues. 'That dashtop is a crucial piece of evidence in the case for this being the car from The Italian Job. It has to be said that there are a number of dissenters who claim that this is not the movie car, and Octane cannot defintely say, examine the evidence, and make up your own mind. Whatever the verdict, it's a fascinating story. EXACTLY WHAT went on during the few days spent The Italian Jobbeen clear. Even the 2001 book TheMaking Of The Italian Job, which contains interviews from numerous people delegated to a second unit consisting of a skeleton crew directed by John Harris. Sadly, Harris died of cancer in What is certain is that two different Miuras were used all the driving shots. The second, whose identity is not known, was a wreck that had reputedly been returned to the factory after an accident in the Middle East. Minus engine and transmission, it was hastily repaintedArancio Miura (orange) - or so the story goes - to match the driving car, and it was then impaled on the bulldozer's shovel before being pushed over the side of the mountain. - quite literally. Your personal information will be used as set out in the Dennis Publishing (UK) Ltd Privacy Notice. Submitting your details indicates your consent, until you choose otherwise, that Dennis and their partners may contact you about products and services that will be of relevance to you via, direct mail, phone, e-mail and SMS. You can opt-out at ANY time via the web or email. © Copyright Dennis Publishing Limited. Under licence from Felix Dennis. This offer is available for UK delivery addresses only. Offer for a limited time only. Your free issue will be the next available issue and delivered to you within six weeks of receiving your request.